Say what you will about Walmart putting mom-and-pop stores out of business; today, the retail giant announced a program few small business could afford. Through a partnership with Guild Education, Walmart will cover the cost of college tuition for its associates who study for Business or Supply Chain Management degrees from three nonprofit university networks. The employee contribution will amount to about $1 a day, with Walmart covering the rest of the tuition, books, and fees. Walmart calls it a path to debt-free education, because employees wouldn’t have to take out expensive student loans to cover their tuition. 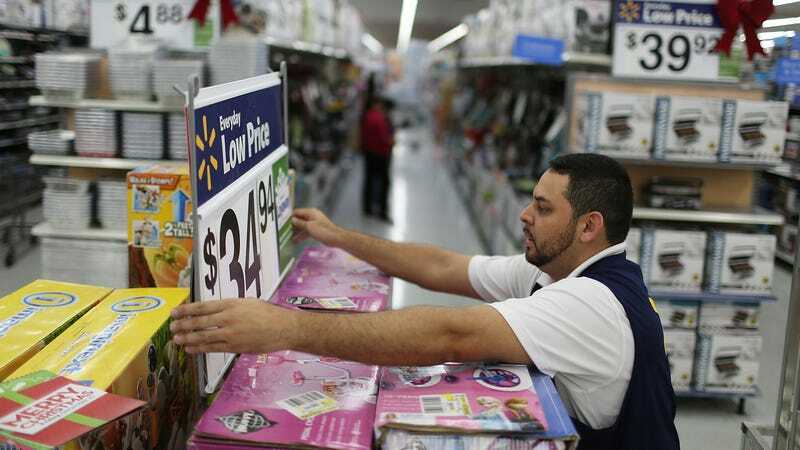 Additionally, employees can earn college credit for paid training at Walmart Academies, which are weeks-long customer-service training programs offered by the retailer. And if staff members don’t want to enroll in one of the three universities partnering with Walmart and Guild Education, the employer will still offer tuition discounts, financial aid assistance and education coaching for enrollment at more than 80 other nonprofit universities. Supermarket News reports Walmart executives estimate that as many as 68,000 employees—that’s 5 percent of the company’s workforce—could apply for this education assistance. These educational programs are offered to full-time, part-time and salaried Walmart U.S. stores and Sam’s Club employees. Combine this news with Walmart’s new, less-formal dress code, and you have evidence that the company is trying harder than ever to attract staff in a tight labor market.